official site of OSSC before last date. 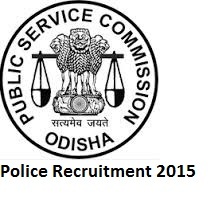 Candidates who are preparing for OSSC Police jobs they must and should check old question papers, model papers, books, syllabus, question paper pattern for better preparation. Also check other details related to OSSC SI Recruitment 2015 like how to apply, selection process, salary, height, running race, high jump and more details are given below.